Does your appetite seem to be on over-drive? 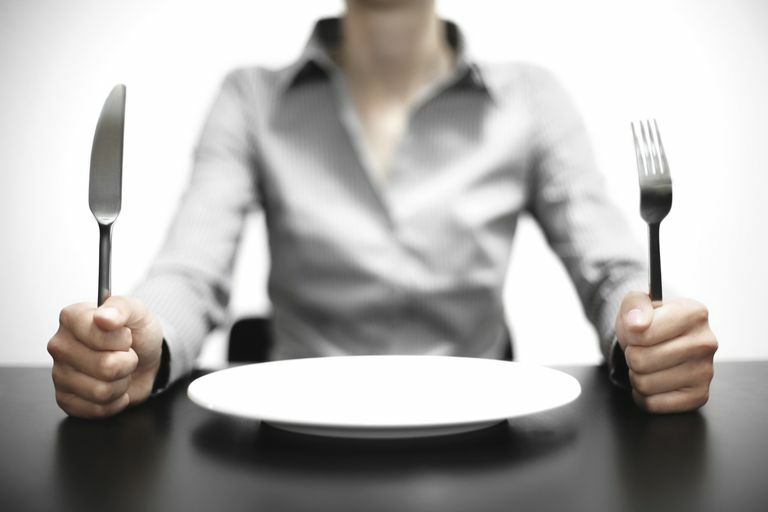 Don't worry you can learn how to control your appetite with a few simple tips and tricks. Check out these five simple tips for keeping hunger in control. To prevent getting overly hungry, you can turn one eating episode into two or three smaller meals. Each meal will be smaller, but still satisfying. For example, if you normally eat a bowl of soup and a sandwich for lunch, eat your sandwich at your regular lunchtime. Then heat your soup later as an early afternoon snack. Or split each item in half and eat just half of both your sandwich and soup serving at lunchtime and the rest a few hours later. If you are feeling especially hungry when you sit down to a meal, you may eat too much. You'll eat the wrong portion of food or refill your plate two or even three times. But you can curb this habit. To avoid overeating, fill up on fiber-rich vegetables before you eat any other type of food. Veggies often function as a side dish, but using vegetables as a pre-meal appetizer can help control your appetite because the fiber fills you up first. If you still want seconds, another serving of veggies is ideal for rounding out your meal in a healthy way. Do you know why you eat when you're not hungry? If you have been giving up many of your favorite foods to lose weight, you might eat when you don't need to. You might be eating because you feel deprived. But you can fix this pickle if you act like a kid. When you were a child you probably ate all your favorite foods first and left that pesky little pile of broccoli until the last second. If you want to control your hunger in a pinch, eat only the foods that you want and leave the rest. Just for one day, indulge your inner child to help yourself feel satisfied. Regular, healthy snacks are a great way to keep your appetite in check. But snacking doesn't work for some dieters. Some dieters eat too much when they snack. They use the extra eating episodes to indulge in an overload of calories. But you can skip snack time if you eat enough at your regular meals. If you are following a healthy diet meal plan that includes snacks, add those missing calories into your meal instead. Be sure to include protein such as eggs, lean meat, or fish in each meal as it will provide a longer-lasting sense of fullness and boost your energy. There is no single strategy that helps everyone to eat less. But if you try these tips you'll be sure to find one that will help you to control your appetite.